Start a new Lexus SC 430 question. 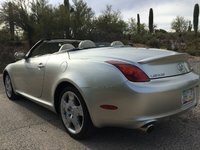 Whats The Difference Between All The Lexus SC430? 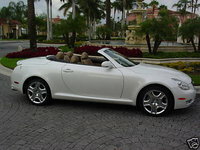 Ow Reliable Are The Lexus SC430 2002?? Am looking at a 2002 SC430 to buy, one previous owner, great condition. But am not familiar with this models reputation. Sell price is $20, 600. 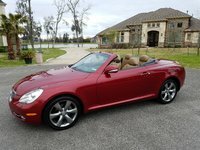 After somebody agrees to buy my car what is my next step? 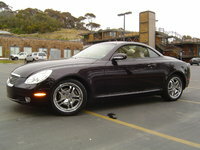 The Lexus SC coupe reappeared in 2002 with a total redesign and a larger engine. The SC 300 and 400 had vanished after the 2000 model year, in preparation for long-awaited and much needed revisions. The new SC 430 was also a convertible, which was a first for Lexus. This was an automatic retracting hard top which folded into the truck. The SC was classified as a 2+2, but the back seats were less spacious than the previous ones, which were not very spacious either. The new 430 was rear wheel drive, but it now featured a more powerful engine. The new 300 horsepower 4.3 liter V-8 was borrowed from the LS sedan, along with the smooth 5-speed automatic transmission. The coupe sped from 0 to 60 in 6.6 seconds, and braked back to zero in 121 feet. Fuel economy remained unchanged from the previous SC, holding at 18/23 mpg. The SC's 18-inch tires were held steady by an advanced antiskid/traction system, which gave the coupe a bit more control on slick surfaces than its predecessor. While it was listed as a option, run-flat tires seemed to appear on most of the SC 430s. They led to frequent driver complaints regarding road noise and ride quality. The new drop top was a favorite feature among drivers.